Execflyer are offering exclusive-use helicopter charter flight and a VVIP transfer service to the 2015 Cheltenham Festival from the Dallas Burston Polo Club. (TRAVPR.COM) UNITED KINGDOM - February 4th, 2015 - Cheltenham Festival is undoubtedly one of the most glamorous and prestigious dates in the British horse racing calendar, and you want to arrive relaxed and in style. 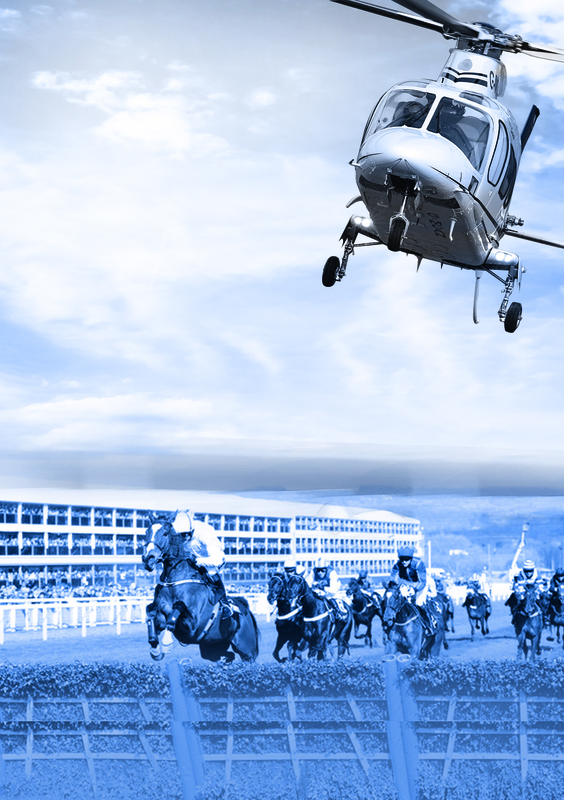 Ramp up the sense of occasion for your friends and corporate clients by booking your luxury helicopter flight to Cheltenham Racecourse with Execflyer. On race days Cheltenham is horribly crowded and you can spend hours crawling in traffic, only to park inconveniently several miles away for a second-rate helicopter hop. The affordable alternative is to take Execflyer’s comfortable helicopter transfer service from the beautifully appointed Dallas Burston Polo Club near Royal Leamington Spa, where you will enjoy a champagne buffet breakfast reception at the clubhouse before boarding your 16-minute flight to the festival ground. You’ll enjoy splendid views of the Cotswold countryside en route, and it will certainly be a talking point. Execflyer operates the latest and most luxurious twin-engine helicopters, unlike other operators who rely on smaller, single-engine models that cannot fly in poor weather or at night and offer only five-minute rides. Our cost-effective shuttle service enables you to arrive on time, in comfort and without setting out at the crack of dawn. This is very much a luxury service. You can also charter our helicopters for exclusive use and we will customise the experience to meet your every need and certainly impress your guests. Please get in touch either through our website, by e-mail to fly@execflyer.com or call us on +44 (0)1252 416343 so that we can discuss your Cheltenham Festival flight requirements.